﻿ Those of you who follow me on Facebook, have already seen this pic ! Want to see more pics? Want to get updates on my latest activities, blogposts, thoughts ?Don't forget to follow me on FB or on Twitter ! Loving the necklace and the lipstick color! I gotta feeling I'll love this outfit, denim and statement necklaces are on my favorite things in life list, can't wait! Oh, that's such a lovely necklace!! 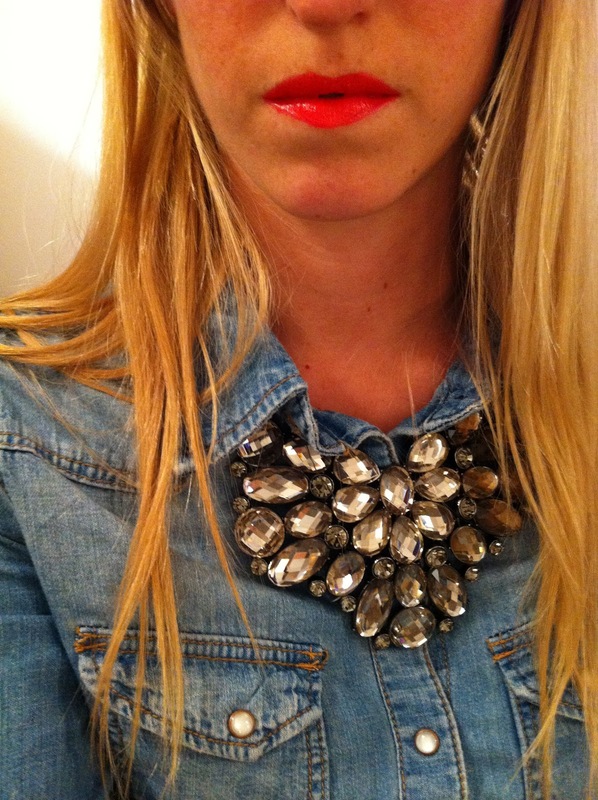 Gorgeous necklace and lips! Beauty! Cute necklace!! Thanks for visiting my blog and sure, I'd love to follow each other! The necklase is a WOW! Just started following your blog and looking forward to your new posts! love that! esp with the denim. pop by our necklace giveaway! !